For someone who considers themselves a seasoned knitter, there’s a surprising amount of knitting that I’ve not done. And I’m not just talking about all the planned projects that currently just exist in the form of a load of stashed yarn and some dreams. I mean there are loads techniques, and types of knitting, that I’ve just never done. Admittedly, I’m not the most adventurous person. My idea of a cracking night is a cup of tea, some knitting, and a nice sit down. But I am adventurous in my clothing, and my colour choices, and I like to think I’m adventurous in my design. And yet, there are huge gaps in my yarny experience. For example: I just knitted myself a pair of socks. They were my first ever socks. Not my first toe-up socks. My first socks, full stop. This is not really an acceptable state of affairs for a professional knitter. 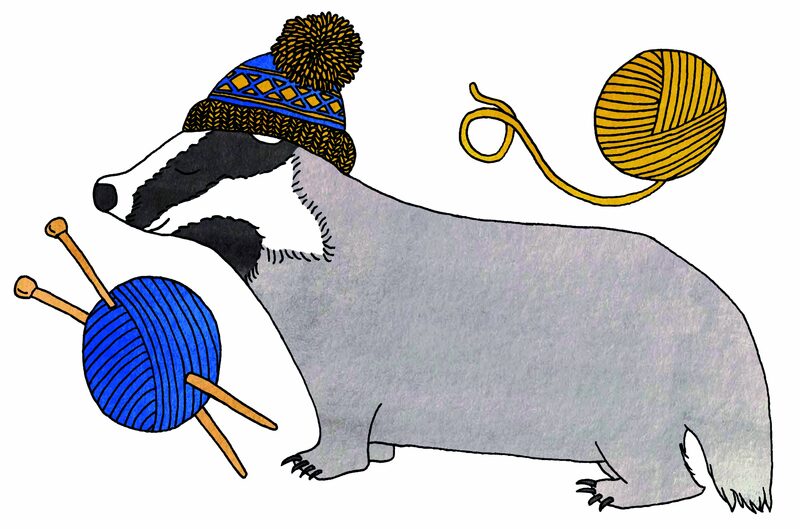 And so I’m compiling a list of all the things I’ve never knitted so that I can work my way through them slowly. Prepare to be appalled, my fellow knitters. There are some gaps here as glaring as the gap in my cinematic knowledge that comes from never having seen The Wizard of Oz. Not really a big surprise, this one, given that I’ve just told you that I’ve only ever knitted one pair of socks and they were toe up. But for the sake of completeness, it still needs including. And rectifying. Swiftly, with some of the sock yarn I’ve just accidentally bought. Turns out knitted socks are really cosy. Who knew? Science fact: I’d never done any colourwork until less than a year ago, because – shockingly enough – it scared me. It’s that whole top-down thing again. So I suppose the obvious conclusion here is that I should knit a top-down fairisle yoked sweater, isn’t it? Another ridiculous omission, given that it’s apparently brilliant and much easier than using double pointed needles. But something about the name makes me think of law firms, and I apparently just can’t get past that. If I wanted to be a lawyer I would’ve done something more than watching a lot of The Good Wife and going ‘oh man, that looks EXCITING!’. And so, my brain’s idiocy in collating magic circle law firms with magic loop knitting has condemned me to a life of things being far more difficult than they need to be. Serves me right, really. This one, admittedly, is more about aesthetic choice than a fear of technique. I’m not really a shawl-wearing person; I’m more chunky cardigans and coats with pockets full of crap from years ago. But, it’s occurred to me in writing this that I could use a shawl a bit like a cape and swoosh my way around. And that I could knit it in really bright fun colours and it needn’t be granny-like at all. I’ve talked myself right into that one, haven’t I? I’m not going to lie – brioche looks like the result of some dark magic to me. How? How does it do that? I don’t have even the faintest idea. Suppose I should probably find out at some point soon. So that’s it. That’s the list, a least as far as I can remember. And, now that they’re committed to the internet, I’m committed to rectifying the situation.